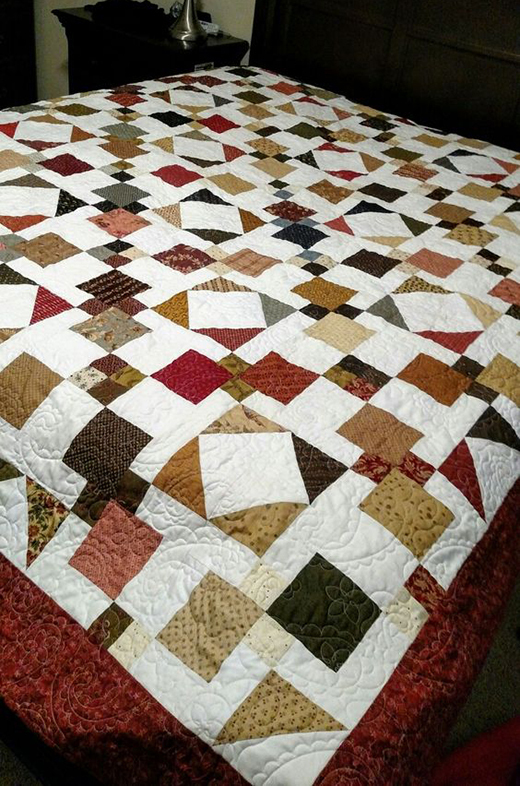 The Nine Patch Madness Quilt designed by Jenny of Missouri Quilt Co, The Tutorial is available for free. Jenny demonstrates how to make a beautiful "9 Patch Madness" Quilt using 5 inch square of precut fabric. She chose "New Hope" Charm Packs by Jo Morton for Moda Fabrics. This pattern is actually a disappearing 9-patch block, and it is so much easier than it looks!